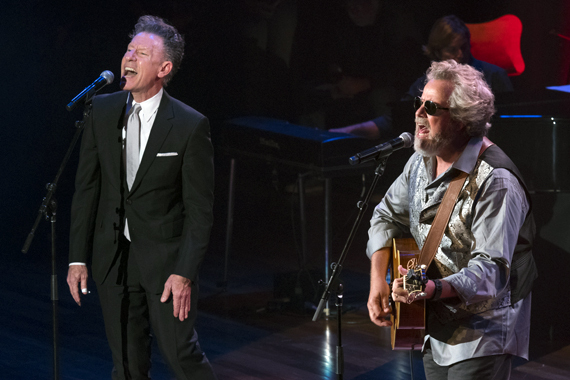 Friends and frequent collaborators of the late Guy Clark saluted the legendary songwriter at a sold-out concert at the Ryman Auditorium on Tuesday (Aug. 16). 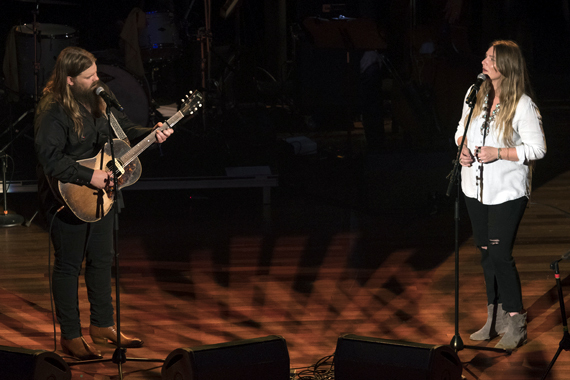 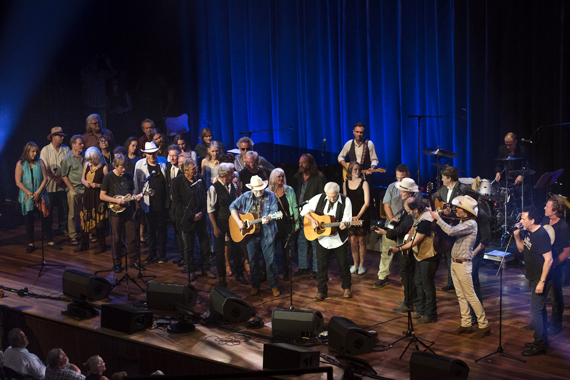 Musical guests included Terry Allen, Bobby Bare, Iron & Wine’s Sam Beam, Sam Bush, Shawn Camp, Rodney Crowell, Steve Earle, host Vince Gill, Emmylou Harris, Jack Ingram, Robert Earl Keen, Lyle Lovett, Mickey Raphael, Angaleena Presley, Chris Stapleton and Morgane Stapleton, Verlon Thompson, Jerry Jeff Walker, and Gillian Welch and David Rawlings. 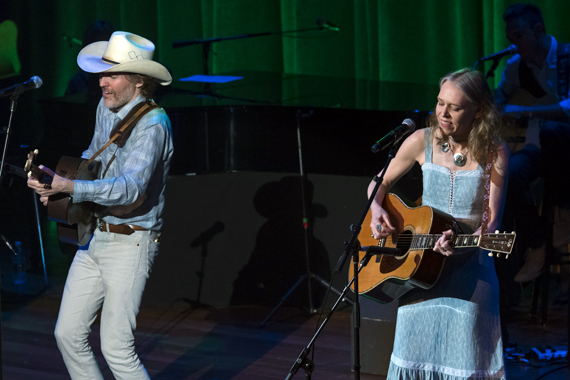 Clark and his wife, Susanna Clark, were fondly remembered through songs, stories and photographs throughout the evening. 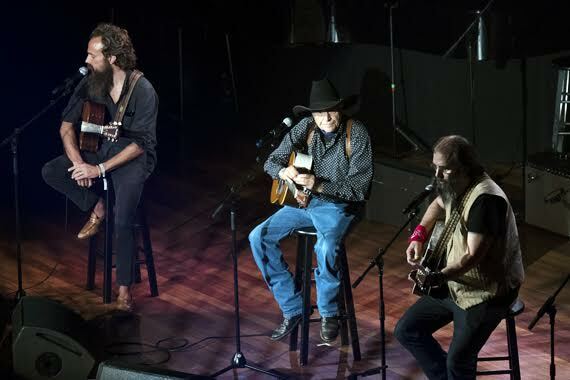 Clark is a 2004 inductee into the Nashville Songwriters Hall of Fame. 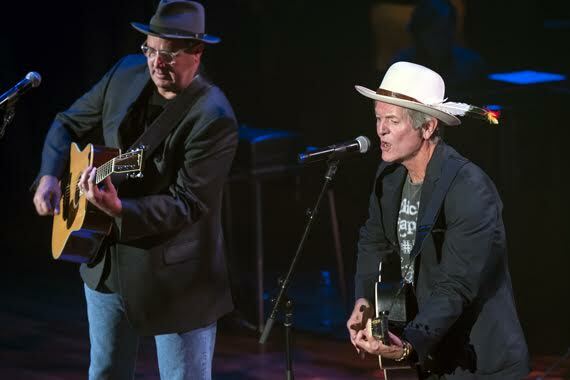 His best-known compositions include “Desperadoes Waiting For a Train,” “Homegrown Tomatoes,” and “LA Freeway.” His 2013 album, My Favorite Picture of You, won a Grammy for best folk album. 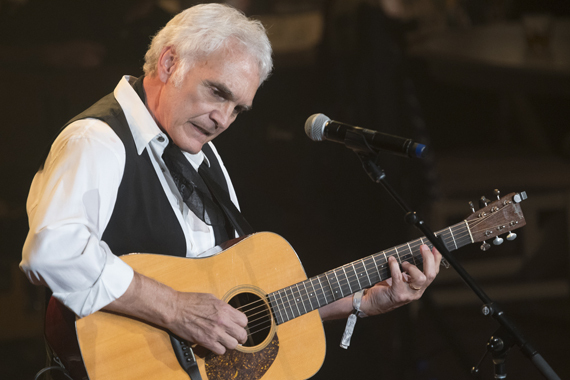 He died on May 17, 2016.